Have yourself a merry little Christmas with three wonderfully wicked Regency rogues who woo their heroines with passion, secret presents and snowball fights! Lose yourself in three romantic holiday tales from USA Today Bestseller Lauren Smith. 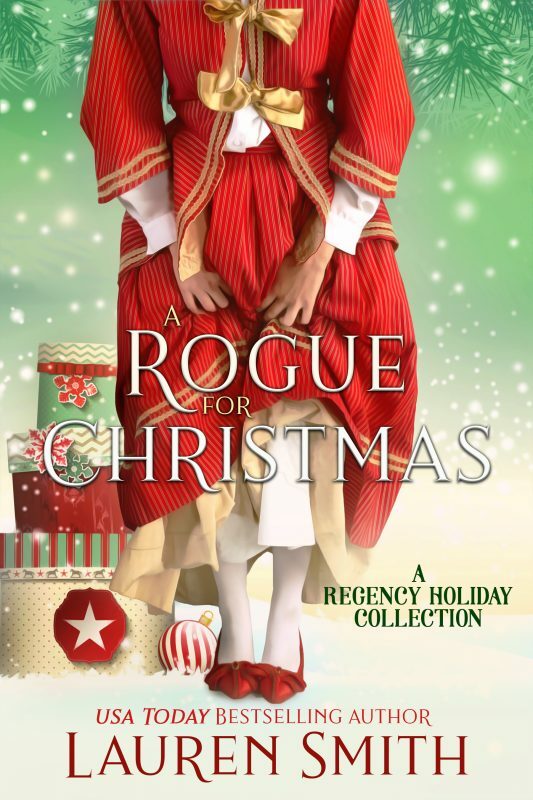 The Rogue’s Seduction – Perdita Darby, the ton’s favorite lady, seeks the help of the notorious rogue, Vaughn, Viscount Darlington. If she can convince him to pretend to be her fiancé over Christmas, she will escape a dangerous fortune hunter who means to do her harm. But will the infamous Devil of London, Vaughn, find a way to win her heart? The Gentleman’s Seduction – Martin Banks is quite the scrooge. After a tragic Christmas when he was young, he despises the holidays. But when he wins a hand of cards against the man who destroyed his life, he bargains for a sweeter prize than money. He takes Livvy, the man’s daughter, home with him to ruin her reputation and perhaps convince her to be his mistress. But neither he nor Livvy expect the spirit of Christmas to surprise them with the best gift of all: love. His Wicked Seduction- Horatia Sheridan is cursed. She’s been madly in love with her older brother’s best friend, Lucien, since she was young. But the wicked rogue has never once noticed her except to treat her with annoyance. But when Christmas arrives and it’s clear that someone is targeting Horatia’s life, Lucien brings her home to his country estate to protect her. A Christmas kissing bough, a snowball fight and forbidden desire take hold, leading to a love that will change their lives forever. *Note: These stories have been previously published as single titles or in other collections.